I was born on December 7, 1986 in a small town in Florida called Grant. My two brothers and I grew up loving sports. My first love was baseball but an injury when I was 14 led me to focus on golf and fulfill my dream with my lifelong passion of playing professional golf. I come from a blue collar family and both of my parents worked long hours to support us. Their work ethic made me who I am today. Neither of my parents finished college when they were young but they always stressed the importance of education. My dream was to attend the University of Florida and I was lucky enough to get a scholarship to play golf for the Gators. I made my parents so proud by becoming the first person in my family to graduate from college. And I’m not the last! My Mom recently went back and completed her college degree, which was another really proud moment for our family. I met my wife Brittany during junior golf and it was love at first sight... for me! She took a little longer to come around. We both played golf at UF and Brittany was an incredibly talented player. Unfortunately, an ongoing struggle with wrist injuries meant she was unable to compete at the highest levels. We married in 2010 and our dreams came true when we were blessed with a beautiful baby girl, Skylar Lillian, in 2014. 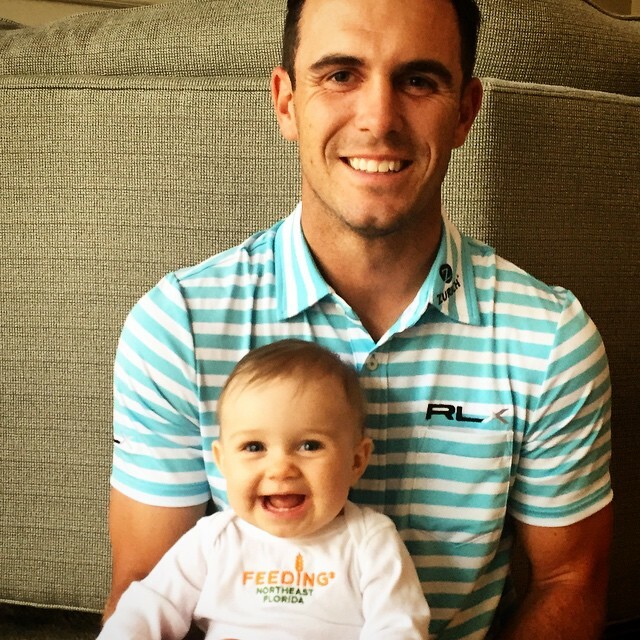 Skylar was born two days after I won the FedEx Cup. I guess my littlest supporter was waiting to let me finish the season. Our second daughter, Colbie Rae, joined our family on April 12, 2017. I can honestly say that my two girls are the biggest wins in my life. I know I wouldn’t be the golfer or more importantly the man I am without Brittany by my side. She’s an amazing mother, an incredible support to me and my best friend. I often say ‘Love my Life’ and I mean it. I’m so lucky to have a career I love and a wife and two daughters that complete me. I want to be good for golf. My golf career began over a pond in my backyard. My dad said he would take me to the golf course when I could consistently hit balls over the pond. I practiced for hours and hours until I finally conquered the pond. I played some junior golf but we couldn’t afford to travel to many events, so I wasn’t highly recruited. The UF coach, Buddy Alexander, took a chance on me after I was passed up by many other schools. He remains one of the most influential people in my life. In 2007 I was picked for the Walker Cup team (basically the junior version of the Ryder Cup). The US team included Rickie Fowler, Dustin Johnson, Webb Simpson and the Great Britain and Ireland team included none other than Rory McIlroy. We won 3-1 at Royal County Down in Ireland. I turned pro in 2009 when the FedEx St. Jude Classic gave me an exemption for my first professional start. I was sidelined with an injury in 2010 and had a difficult few years where I had to go to Q-School 3 times to regain my tour card. It was one of the toughest times in my career but I am a fighter and I never gave up. In 2013 things started to click for me. I got my first professional win at the Zurich Classic when I learned that attitude is the key to playing well. I’m proud to say I became part of US Open history by hitting all 18 greens in one record-setting round during the US Open at MERION. I knew I was playing good golf throughout most of the 2014 season, but results did not show until the playoffs…pretty good timing! I finished second at Deutsche Bank Championship, won the BMW Championship and the Tour Championship by Coca Cola to clinch the FedExCup. I didn't think it would take nearly three years for another victory, but after my win at the AT&T Byron Nelson, I am thankful to be in the winners circle again. but even I don’t play it 24/7. I’m a big sports fan. I am an avid follower of The Gators, the University of Florida college teams, and I’ve been known to do the Gator Chomp when things are going well. You may have spotted it when I won the FedEx Cup. I took up snowboarding a few years ago and I’m hooked. As a Florida boy, I never experienced snow sports but Brittany grew up skiing in the winter. Aspen, Colorado is our favorite vacation spot. Golf has really opened up my world in terms of travel. I’ve been to lots of places in Asia and I just love the culture, the food, and the people. I also have to say the history and beauty of Europe always blows my mind. It’s great to spend time at home as well. During my weeks off I relax by hanging out with friends and family and keep active by working out. All-in-all, I like to keep things simple when it comes to my home life. My beliefs make me the man I am. HARD WORK AND DEDICATION: My parents instilled these values in my brothers and me from an early age. I know first hand what it’s like to have to battle for success and trust me, it’s much sweeter when you achieve it that way. LISTENING AND LEARNING: Everyone that knows me, knows I love to talk! But, I’m always listening too. I’ve learned from some really inspirational people in my life, including my Dad, my UF coach Buddy Alexander and my current golf coach, Todd Anderson. Although my college education was very important, it is the life lessons that have framed me as a person. HONESTY AND CANDOR: The world is full of people that don’t speak their minds. I’m an open guy who feels that conversation and friendly debate is healthy. Over the years I have changed a few people’s minds by giving my opinion, but actually I have changed mine more. GIVING BACK: I believe in giving back to my family and my team for helping me get to where I am today. I also love to support those less fortunate through philanthropic partnerships and charity events. 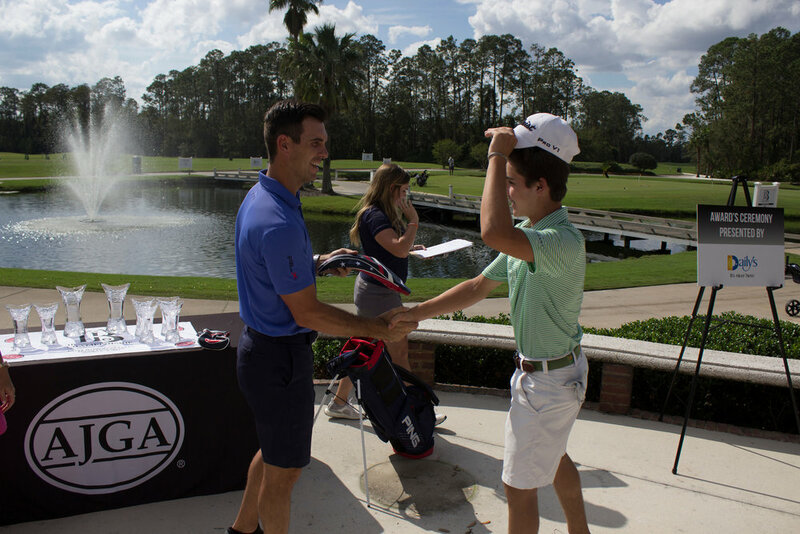 This year I hosted my first AJGA tournament - the Billy Horschel Junior Championship. Not only did the tournament allow me to support and encourage junior golfers, but I was also able to give back to the Jacksonville area through a donation to Feeding Northeast Florida. I’m planning to launch a foundation over the next few years but until then, I will continue to support the causes that mean the most to Brittany and me including Feeding Northeast Florida,and the United States Military. 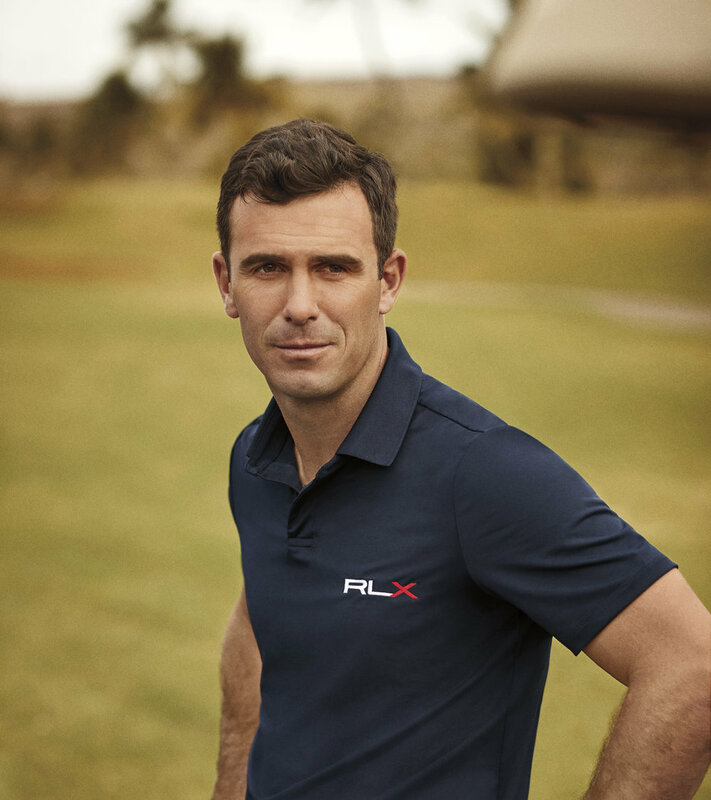 A big thank you to all the partners and participants who made the Billy Horschel Junior Championship possible. Click through the slide show below for some great photos capturing the weekend!